In a “20/20” episode on Friday, former “King of Queens” star Leah Remini gave a ground-breaking interview about the Church of Scientology, which she publicly split from back in 2013. She’s one of the most famous celebrities to ever split from the organization and come forward with criticisms. Scientology is a fairly modern religion founded in the 1950s by science fiction writer L. Ron Hubbard. The religion teaches that in every human is an immortal alien spirit called a “thetan.” Thetans came to Earth 75 million years ago when Xenu, the tyrant ruler of the Galactic Confederacy, brought billions of aliens to the planet in spaceships, planted them around volcanoes and murdered them all by detonating hydrogen bombs in the volcanoes. The thetans of those alien victims cling to humans. If you are as baffled and amused as I am, “South Park” did a lovely episode on Scientology a decade ago. Scientology is probably best known for its strange cult-like practices, like its extreme rejection of all psychiatry and its alleged spying on well-known members like Tom Cruise. Many view the Church of Scientology as a complete scam that uses scare tactics to keep members in line and intimidate those who have left from speaking out — allegedly. Allegedly Scientologists are more delusional than Demi Lovato’s dreams of ever winning a Grammy Award. Those alleged scare tactics are what keep former members from speaking out, which is what makes Leah Remini’s interview so newsworthy. Remini, unfortunately, was brought up in the Church of Scientology by her mother. She was enrolled as a teen in Sea Org, the shady full-time religious order of Scientology. Tom Cruise allegedly uses members of Sea Org for free labor. During her time with her sister in Sea Org, Remini was housed in a former “roach-infested” motel and made to do hours of physical labor. Remini’s mother pulled the siblings out of Sea Org after they were threatened with “Rehabilitation Project Force” because of their involvement with boys. Remini’s family moved to Hollywood but bizarrely remained members of the Church. Remini turned to acting to help fund her involvement in Scientology, which included almost daily auditing, or recorded therapy sessions with members meant to release negative emotions. The Church uses personal information gleaned from these audits to blackmail members into submission (allegedly). She got her big break on the mediocre comedy “King of Queens,” which catapulted her up the ranks in the Church. Soon she was friends with Tom Cruise and Kirstie Alley. Remini does not hold back when talking about Tom Cruise, Scientology’s most famous advocate. When she criticized his antics in 2005 during the press tour for “War of the Worlds,” she said, she was rebuked immediately. “So being critical of Tom Cruise is being critical of Scientology itself. … You are a person who is anti- the aims and goals of Scientology. You are evil,” she said. 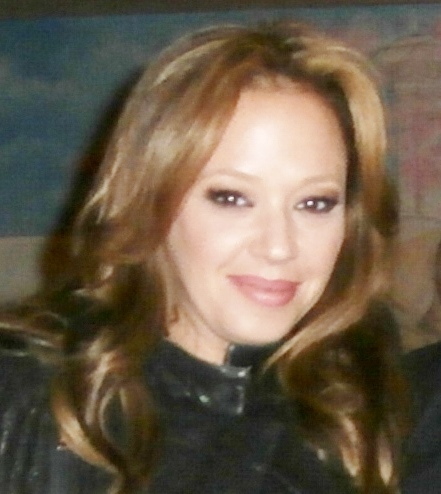 Her high-profile departure from the Church came after months of Remini demanding answers for outside criticism of Scientology. Her outspokenness led to a final physical confrontation with several high-ranking Church officials. Remini’s entire family followed her in leaving the Church. The Church of Scientology’s response to Remini’s departure and public allegations border on Donald Trump levels of insanity. Officials essentially claim that they discovered Remini’s “malfeasance” and kicked out her out, while she begged to stay. Now that she’s left the Church and exposed even more dirt, Remini is determined to stay in the public eye. She’s served as a guest judge on “Dancing with the Stars” and will be starring in a family reality television show on TLC. She literally has to stay in the know now, or she’ll suffer serious intimidation from the Church, or even worse. Remini knows that Shelly Miscavige, the wife of Church leader David Miscavige, has not been seen since 2006.